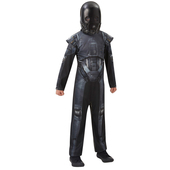 Deluxe Darth Vader Kids Costume - from Star Wars. 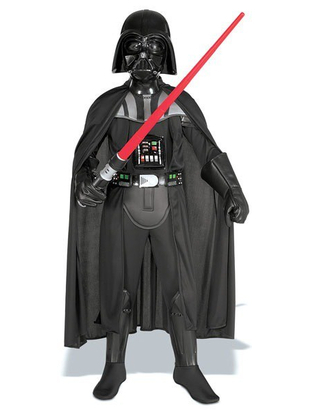 This costume includes a soft polyester jumpsuit with long flowing cape attached, EVA collar and attached boot covers, black belt and Darth Vader mask and to finish off look pictured. 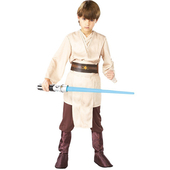 Lightsaber is not included but can be purchased separately on our site. 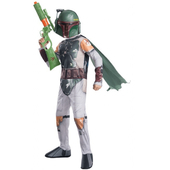 Please note gloves are not included. Length: 38" from shoulder to ankle. 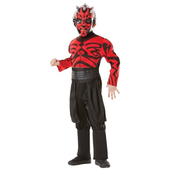 Length: 46" from shoulder to ankle.